Source: State Exit Polls conducted by Voter News Services (1996 and 2000) and National Election Pool (2004 and 2008). Data provided courtesy of Roper Center, University of Connecticut. 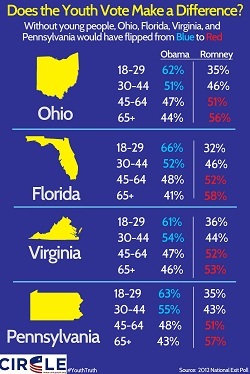 Did the youth vote make a difference? 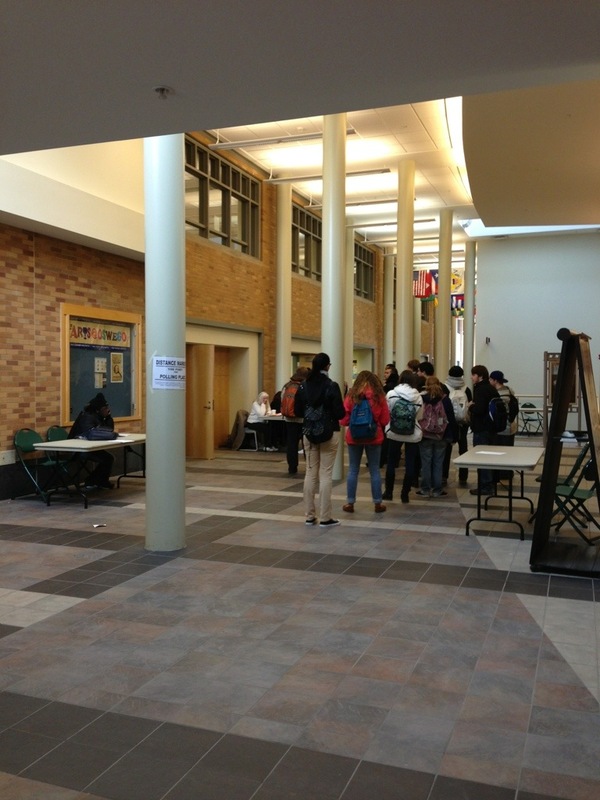 Lines are forming at the Campus Center polls. It’s great to see this kind of turn out for such an important event. Remember, this is your chance to have your voice heard. It doesn’t matter what you stand for, as long as you stand for it. This is the big day! 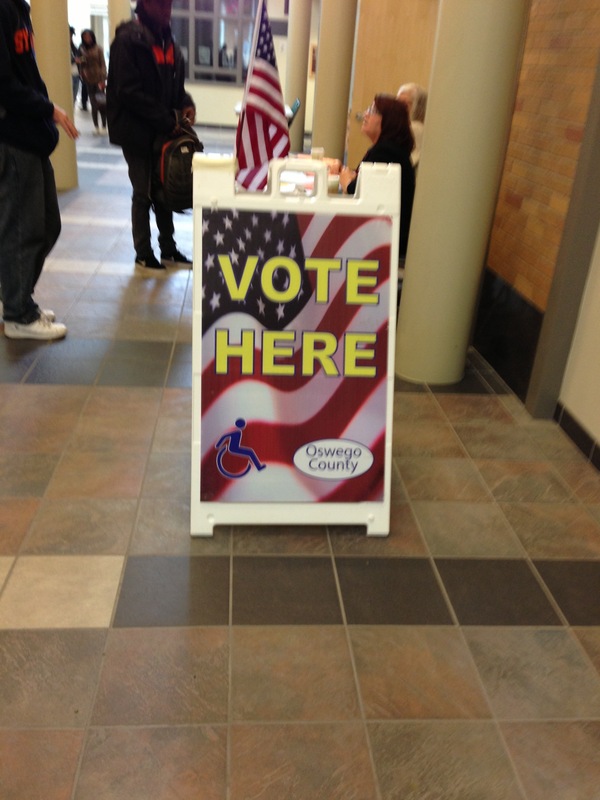 We’re handing out pins near the polls spreading to word to make sure people vote. This is an important day in American history and its future, be a part of it.